A SECOND DUBLIN pharmacist is under garda investigation for facilitating the prescription drugs trade in south county Dublin, TheJournal.ie has learned. The man is suspected of dealing large quantities of the prescription medicines following the arrest of a pharmacist last summer. 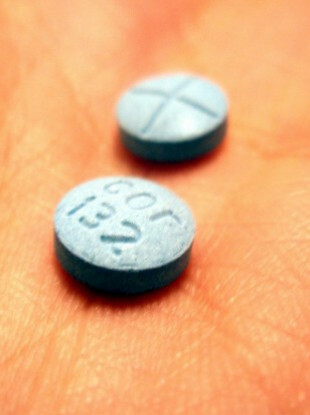 Drugs being sold to students of UCD and IADT include Xanax, Ritalin and sleeping tablets. The man does not exclusively deal to these institutions but officers believe most of the trade is done near these campuses. Sources familiar with the drug trade in the area believe the pharmacist, who does not currently have a practice but who works as a locum, is now selling the medications due to an upsurge in demand. It is believed he is sourcing the drugs from a pharmacy which is owned by a relative of his. The drugs are advertised via social media apps such as Instagram and Tinder and are delivered using delivery systems such as Parcel Motel. UCD previously said it had heard about students using the drug and had warned them to stay away. It confirmed it is aware of “some anecdotal evidence about the use of ‘study drugs’ by students”. A college spokesperson said the university “would strongly advise any student who may have taken or considered taking a ‘study drug’ to exercise caution, and contact our student advisory service or our student health service in confidence so they can get support”. While gardai believe the man has been dealing for over a year, they understand that he has increased the amount he is selling since the arrest and subsequent charge of one his colleagues in the pharmaceutical industry. That man, who owns a number of pharmacies in Leinster, was suspended from practising as a pharmacist earlier this year. Drug gardaí raided his house in Dublin in late August. They discovered around €5,000 worth of Xanax and Ritalin (a stimulant used to treat attention deficit hyperactivity disorder). They also discovered a small quantity of cocaine. The man, who is in his 40s, recently resigned as the director of his pharmacy group, a position he has held for over a decade. His mother has now taken official control of the business. A check of the Pharmaceutical Society of Ireland’s registry confirmed that he has been suspended. The HSE previously confirmed that it is anecdotally aware of cases involving ‘study drugs’ being used by college students in recent years. A spokesperson said the trend in their use has emerged over the last two decades, and has grown in tandem with the internet due to increased availability. Comments are off for legal reasons. Email “Second Dublin pharmacist under garda probe for prescription drug selling to college students”. Feedback on “Second Dublin pharmacist under garda probe for prescription drug selling to college students”.